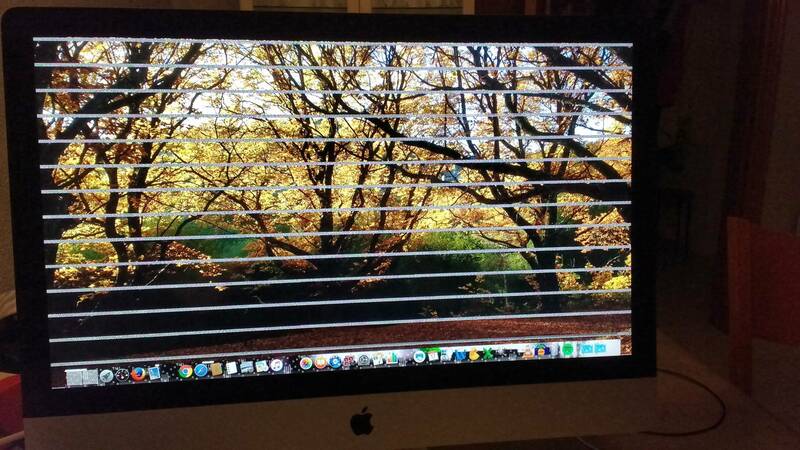 A familiar has given me an iMac 27'' late 2009 because it supposedly got it's GPU broken. When it was given to me, after booting Mac OS X, it got almost frozen only being able to move the mouse in certain moments, but not responding to clicks or anything. In addition the screen was showing this weird lines. As OS X was not operational I installed Debian because I thought that if it was the GPU failing, Debian could run without using the GPU. So indeed, Debian worked fine. To completely test that the GPU was broken I installed the GPU drivers in Debian and obviously the system got frozen and malfunctioning. At that point I was sure that the GPU was broken so I decided to use the iMac a screen, so I tried to reinstall Mac OS (to be able to put it as a second screen for my laptop) and I had the surprise that the system was working perfectly. I have been using it for a week since then and I have not had any issue. It can play videos at full HD, I can League of Legends at full specs and the iMac keeps working without problems. So after being sure that it had GPU problems I'm a little bit confused. What can be the problem that it had if it was not GPU problems? PD: Sorry for the level of English, I'm not native and I'm still learning. Browse other questions tagged macos imac hardware software gpu . How does one interpret Load Average in iStat menus?